John retired from industry in 2014 to focus on local and international outreach efforts in his current role. He has more than 20 years of experience in the In Vitro Diagnostics (IVD) industry, where he held scientific / managerial positions at Eastman Kodak, Gen-Probe, Sigma, Veridex, and Ortho Clinical Diagnostics. John led the development of the first FDA-approved intra-operative molecular cancer diagnostic and has 14 issued U.S. patents. John received his B.S. degree in Biochemistry from Nazareth College and M.S. and Ph.D. degrees in Biochemistry from the University of Rochester. During the West African Ebola crisis, John traveled to Monrovia, Liberia to connect with local organizations as part of OWO’s effort to provide personal protective equipment (PPE) and OTC medications to over a dozen health clinics in the Greater Monrovia area. This effort continues post-Ebola and has expanded in scope to provide a broader range of medical and other humanitarian support. Teri is a Reading Educator in the Pittsford School District who also serves as Corporate Secretary for Our World Outreach. Together with John, she has two adult children, Adam and Rachel, and a grandson she adores, Jonah. In 2013, she went on her first trip to Haiti. This was a life-changer for her. She loves working with children which is also reflected through her time spent in Haiti each year with the six children she and John sponsor. Teri has given much volunteer time to the mission and even taken a leadership role in leading teams to Haiti. 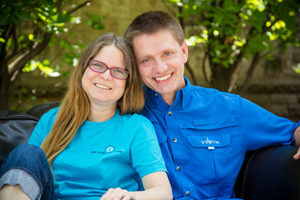 John and Teri love helping others in need, both at home and on international mission-trips. Teri also serves alongside John in overseeing and coordinating the OWO Food Distribution for those in need in the Rochester area. Garrett has a passion for people. He is the Founder and Lead Pastor of LifeTree Fellowship, a church in the heart of Rochester, NY. LifeTree has an international congregation, with about one third of the church consisting of Immigrants and Refugees from African Nations such as the Democratic Republic of Congo and Liberia. His vision is to make a marked difference in peoples lives through empowerment and solutions that create sustainability. Garrett worked in the Medical Sector for over 8 years in Medical Sales, in particular, Spine and Neuro. His duties included directing the surgeons and medical support staff during the surgeries in the proper application of his products. Besides pastoring, he currently works in the Business Sector as General Manager for Heritage Acquisitions Group, a privately held company that develops Socially Responsible Entrepreneurship in Liberia, Africa. The operating companies that they establish are structured with a fixed percent of profits going directly to fund Humanitarian Work at both the Community and National levels. Since establishing their first operating company in Liberia in 2014, they have provided gainful employment to 100s of Liberians. 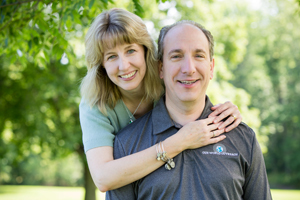 Juli serves as Vice President of Our World Outreach and pastors with her husband at LifeTree Fellowship. She has a passion for Missions Outreach. After the Haiti Earthquake in January 2010, Juli felt compelled to be involved in the immediate aiding of the Haitian people. Through contacting a friend already working in Haiti, she was on her first Mission Trip just weeks later. Her passion inspired about 12 others to go too! She is now deeply entrenched in Haiti and leads short-term mission trips and trains teams from all over the US to go and serve. Juli is the NY State Representative for one of OWO’s partners, Restore Haiti, based in Nashville, TN and a Board Member of that organization. Juli has also completed an economics course with certificate from MIT, Global Challenges of Global Poverty. The course book used was, Poor Economics: A Radical Rethinking of the Way to Fight Global Poverty. This along with other books such as, When Helping Hurts, has greatly inspired her thinking and solutions employed in Haiti and our other initiatives. John is an Associate Professor at Rochester Institute of Technology in the College of Health Sciences and Technology (CHST). His primary teaching and administrative responsibilities are within the PA program, but he also teaches global health courses for students in other academic programs. He is the CHST’s representative on RIT’s International Education Task Force and the faculty advisor for the Global Health Association @ RIT. The senior Physician Assistant students have twice selected him as the recipient of the Outstanding Teacher Award. He also practices clinically one day a week at the University of Rochester’s Thompson Health affiliate in Canandaigua, NY. John went on his first medical mission trip to Jacmel, Haiti in the spring of 2012. This made a deep impact on him, giving him an expanded global view of healthcare. In November of 2012 and January of 2014, he travelled to Liberia with a company called EarthSource Minerals, Int’l, to do an assessment of the status of healthcare and medical education in the country. John also connected with the Liberia National Physician Assistant Association (LINPAA) and was granted a license to practice medicine in Liberia as a PA.
John now serves as the Director of Medical and Dental Operations for one of OWO’s partners, Restore Haiti, and is also a Board Member of that organization. 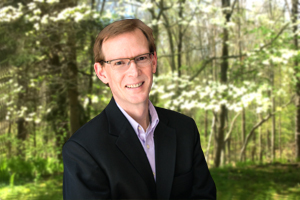 John has a PhD in Leadership and Policy from Niagara University, a Master of Health Professions degree from Northeastern University, a Master of Science in Education degree from Elmira College, and a Bachelor’s degree in Sports Medicine from Messiah College. His research and publication emphasis focuses on best practices for leading short-term medical missions, global health, and poverty alleviation in developing nations. He has been an invited speaker at events locally, regionally, nationally, and internationally. Chris is an Entrepreneur who runs his own Web Development Company, New Market Ventures. He is an Adventurer with experiences that include 300 skydives, base jumping off the New River Gorge bridge in West Virginia, visiting the Great Wall of China, white water rafting, an African safari, flying a fighter plane, and much more. Chris has experience leading large teams of youth and adults on Global Mission Trips to multiple Continents. He is gifted in his ability to relate to people of every age and walk of life. He is currently pursuing sustainable solutions to poverty alleviation in Haiti through business partnering and training. Kris has her own bookkeeping business working with and serving several small businesses, ministries, and non-profits. She is very gifted with numbers and attention to detail which is a big asset to the organization. Kris is a huge college basketball fan, rooting especially for her Alma Mater, Syracuse University. Kris has demonstrated her heart for our local community of refugees and immigrants here in Rochester. For a season, an African girl who was a refugee from Botswana needed a home. Kris willingly became her “mom” during that time and maintains relationship with her and her extended family now here in the US. 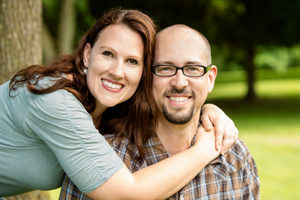 Chris and Kris have a son and daughter-in-law, Josh and Liza, who live in Cleveland, OH.